Often considered as the Achile heel of our smartphones, the battery is a wear part that requires sooner or later its replacement if you want to find performance worthy of the name for his phone. Also, among a multitude of compatible battery offers for iPhone, we have selected for you so-called "original quality" batteries whose performance is identical to the original while offering an attractive price. 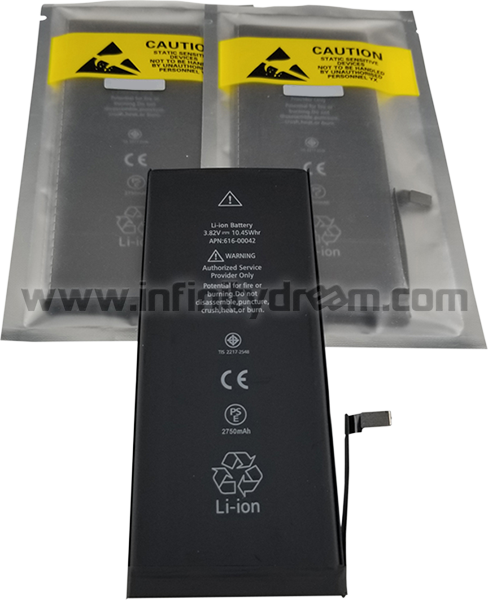 Therefore, whether it is autonomy or lifetime, these batteries will meet the requirements of users wanting to recover the original performance of their iPhone. Superior quality, thanks to their 800 to 1000 recharging cycles (manufacturer data), these batteries will not let go soon ! To finish convincing you, we offer 2 years warranty for these models of iPhone 6/6 Plus, 6S / 6S Plus and 7/7 Plus battery packs models, a first for this type of consumables.